In a large bowl, combine the ground beef, filler, eggs and onion with 2/3 of the container of Jumbo’s Original or Jalapeno Sloppy Joe Sauce. Be careful not to overwork the mixture. 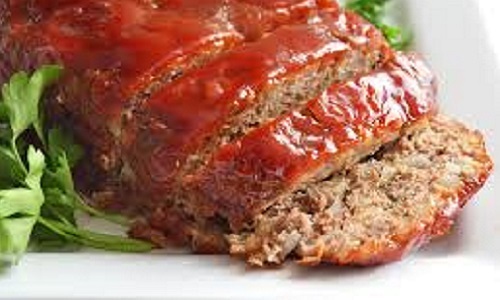 You want to have a nice, tender meat loaf! Form your creation into a loaf and place into a meatloaf pan or other deep baking dish. Pour the remaining 1/3 jar over the top of your meatloaf. Place your meatloaf on the center rack of the oven, and bake for 60-90 minutes, making sure that the center of the loaf reaches 160 degrees Fahrenheit. When the meat loaf is done, remove from the oven and allow to sit for 10 minutes.